The Internet is really a beautiful thing. People living all over the world, from Australia to Florida are brought together through the ‘net. 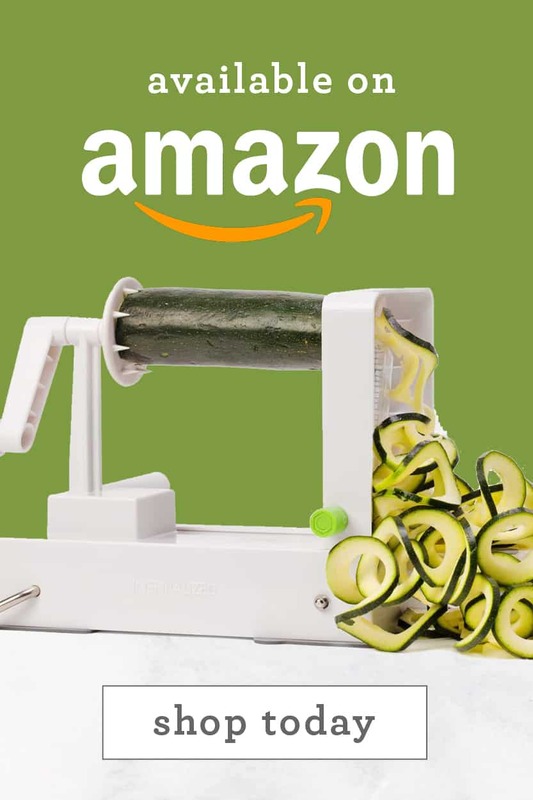 Every day, I’m humbled and amazed by how far-reaching the spiralizing movement has become. Whether I receive an e-mail from someone in Australia, California, London or even good ‘ole New Jersey, I’m in awe. 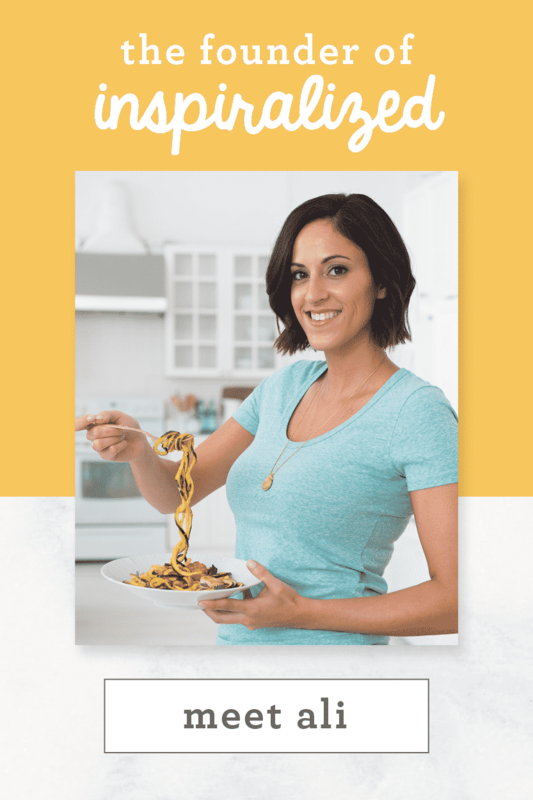 It makes me so happy that people have adopted the spiralizer into their homes and are “cleaning up” their diets with healthier meals. 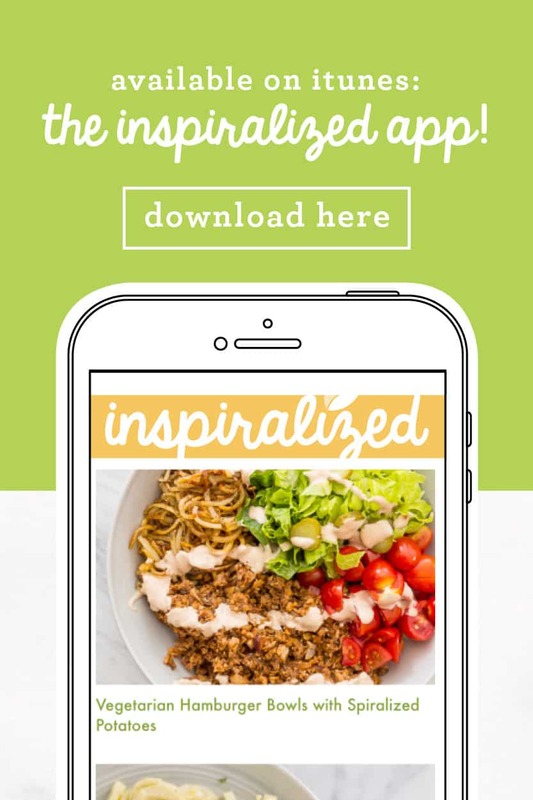 Imagine my happy surprise when a Williams Sonoma manager in Frisco, Texas e-mailed me and told me they’ve been following my blog and recommending Inspiralized to all their spiralizer customers! 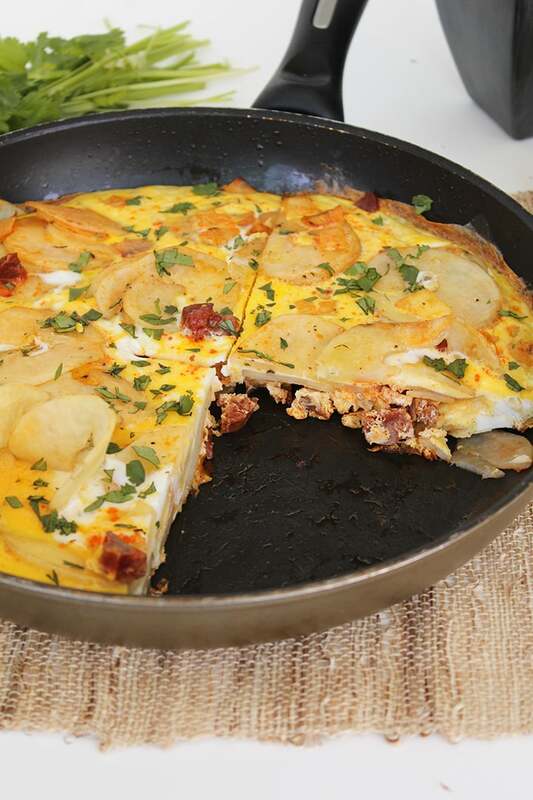 This chef was from Mexico City, so her recipe was certainly authentic- onions, potatoes and eggs. While I didn’t use her exact recipe here on the blog (I received some Imperial Chorizo in the mail and just HAD to use it), this dish is inspired by that e-mail. The Williams Sonoma store manager even sent some pictures over. Totally drool-worthy, right? 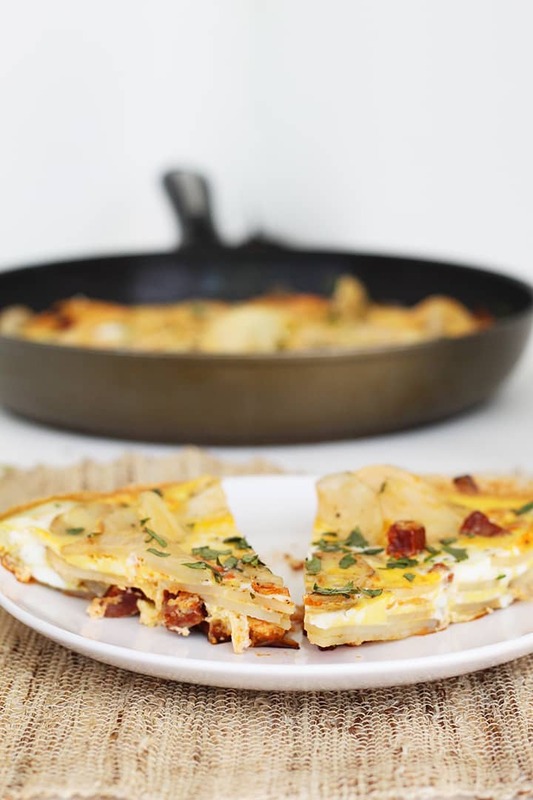 What I love most about this Tortilla Espanola is that it’s thick – just like it should be. 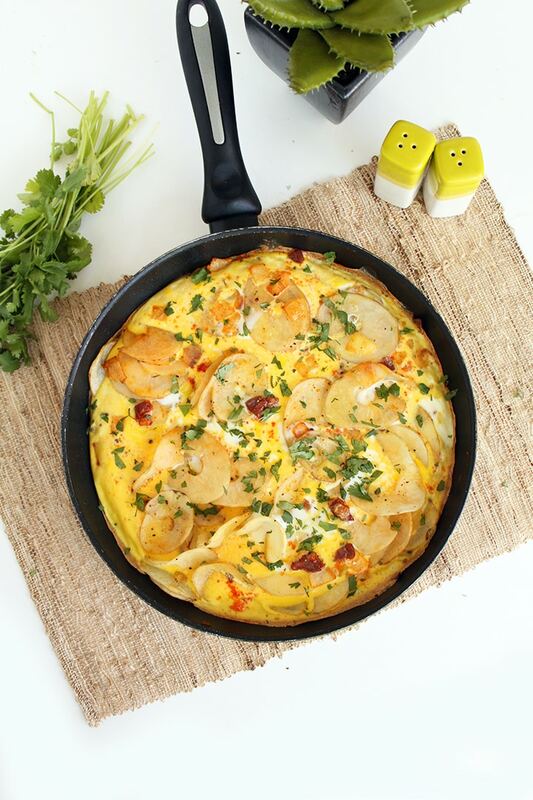 My recipe is a bit lighter, with less layers of potato (therefore less potato, less calories and less carbs). 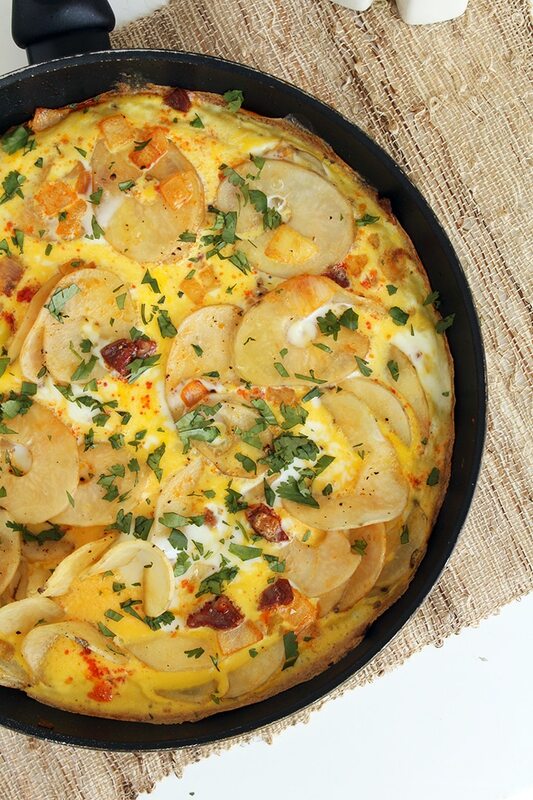 The spicy chorizo gives this Spanish omelette a beautiful savory and salty flavor. Actually, Lu’s mother served a “tortilla” the first time I met her. It was gorgeous, fluffy and enhanced with some extra flavorings – she’s Colombian, so who knows what was in there – but it was sure tasty. 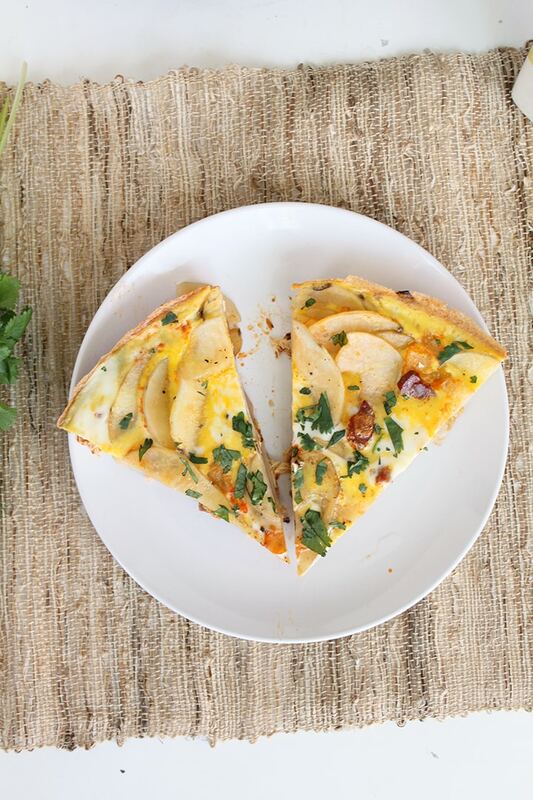 This recipe makes four big triangular pieces OR you can cut it into 8 individual pieces. If you cut it into eighths, serve it alongside a salad or some crusty bread. Truth be told, I made this over the weekend and placed it right in the freezer. I defrosted and warmed it up a couple days later and it was just as luscious. 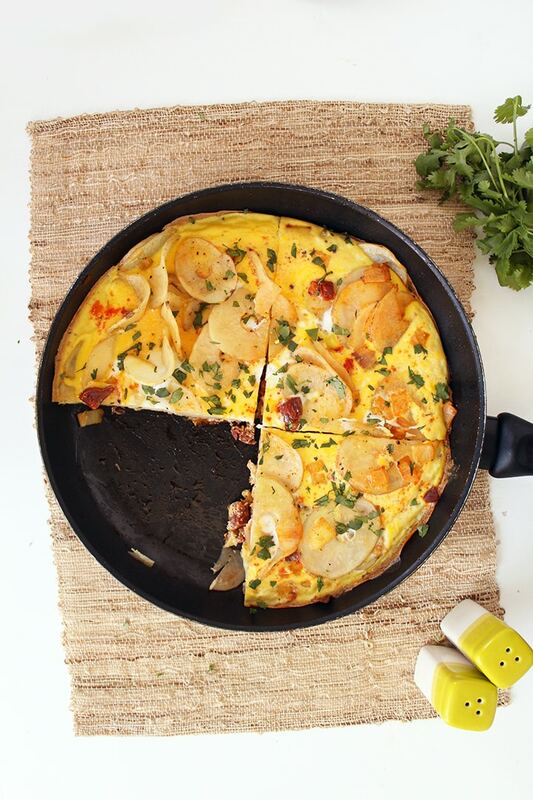 The spicy chorizo makes this omelette suitable for “breakfast for dinner” – just grab a glass of Spanish red and make a side vegetable and voila – an exotic and easy meal! Thanks again to Williams Sonoma in Frisco, Texas for the original inspiration! 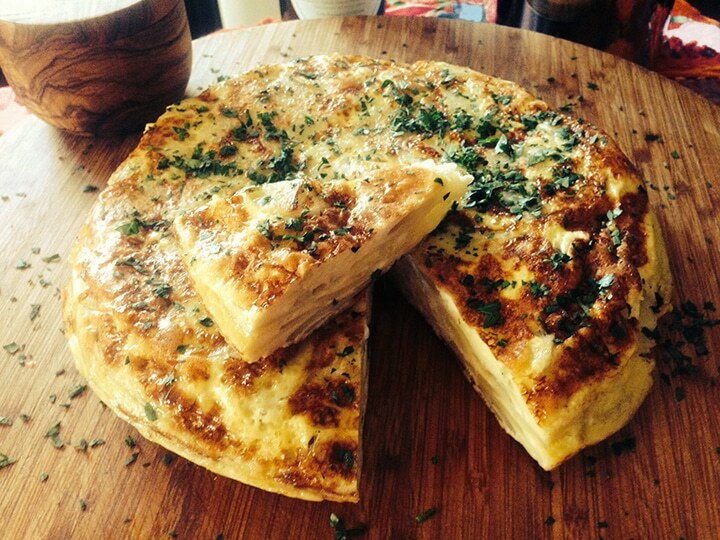 What do you think of adding chorizo to this traditional Spanish dish? I need a cast iron pan as well! I love the idea of having "breakfast" for dinner! This looks like the most amazing dish. Love the flavors, the texture, the thickness of it. Such beautiful pictures too. Thanks! Would zucchini noodles work instead of potatoes? or would it make it more watery? 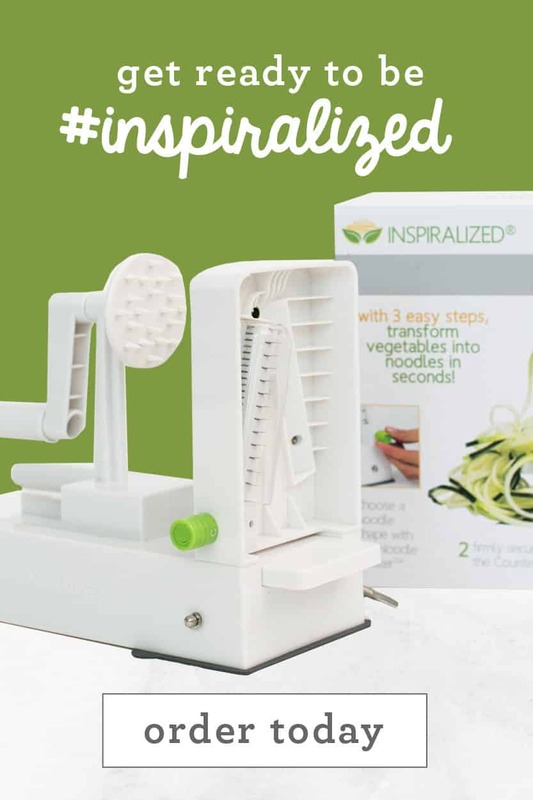 I just love my new Spiralizer (got the one you use, from Williams Sonoma)... Your blog is awesome and everything I've tried is just delish. 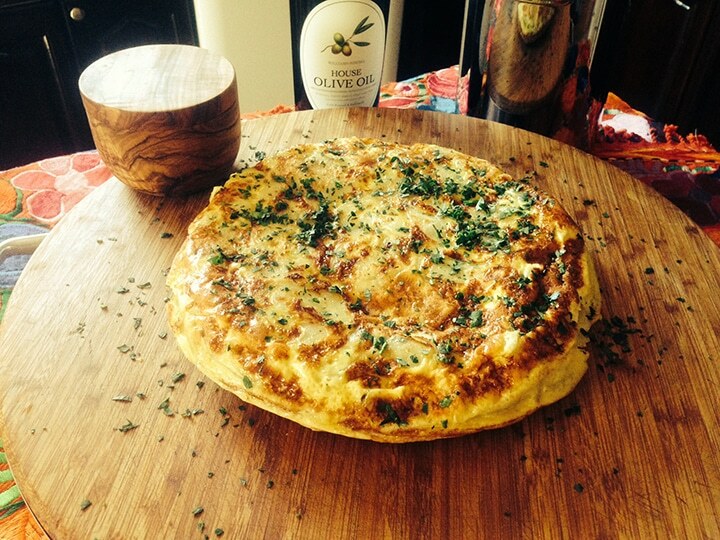 Thank you for your creativity and keep the recipes coming. p.s. Also, thank you for adding the nutritional info now with all your new recipes.. Makes tracking so much easier! LOVE this! ideal for brinner! So cool! It definitely makes the world seem like a much smaller place when you get emails from crazy places. 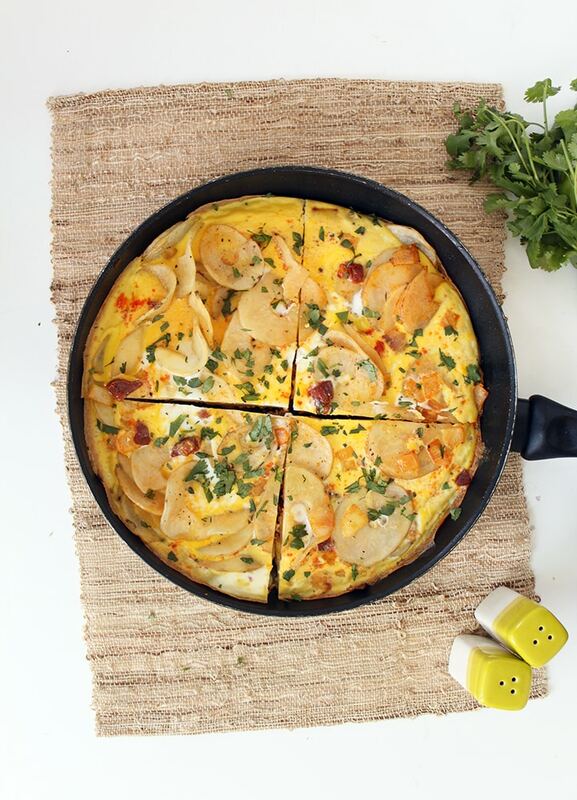 This fritatta looks amazing. 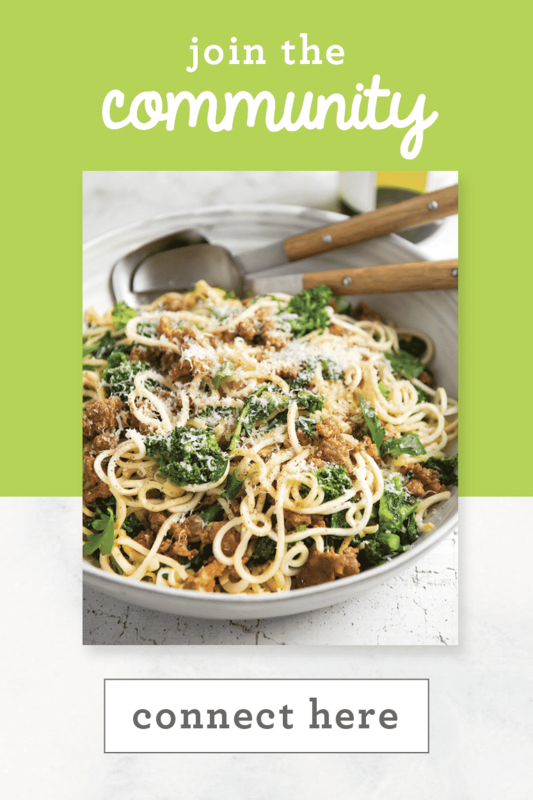 The perfect mix of a little carb indulgence and some serious protein! I have been following your blog for a few weeks now and have been telling everyone about it! I LOVE pasta...could eat it for breakfast, lunch, and dinner...which drives my health conscious trainer husband insane! I don't know who was happier op have found you...me or him!? I finally purchased the spiralizer from Williams Sonoma and cant wait to use it. 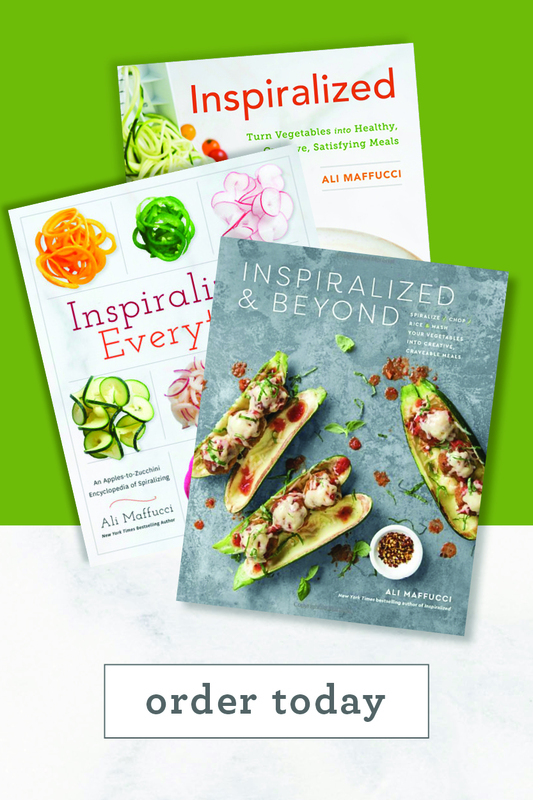 thank you for inspiring healthy ways!!! 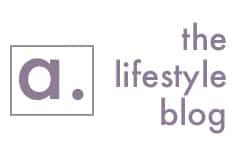 We love your blog at Williams-Sonoma in Temecula, CA! 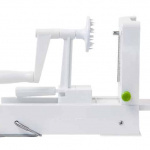 It's such a pleasure to recommend your site whenever we sell a Spiralizer. Thanks for the inspiration! Thank you so much, Emily! I really appreciate the support - and of course, I love Williams Sonoma!! One last question, what do you do with the leftover yolks? I hate to waste! I throw them out, but you could coordinate your cooking and save them for a different recipe that might call for yolks! You don't have to use egg whites, you can use all regular eggs - the egg whites keep down the cholesterol count! Has anyone tried making it with sweet potatoes? A much healthier option. It's all whole, real ingredients, which is healthy! Sweet potatoes would work as well, but not true to the authenticity of the Spanish recipe! Just a quick question.. I don't understand the potato amount... My print out says "2 310g white potatoes". ?? I have the same question about the potatoes, can you give an idea of how many potatoes that might be for those who don't have a food scale? Thanks! If you didn't have a cast iron pan that could go in the oven you could do what the Spanish do and put a plate over the top, invert the pan and slide the tortilla back into the pan to cook the underside.